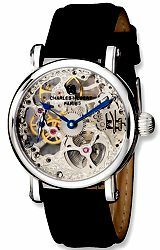 One of the most handsome and distinctive watches in all the world, the Charles Hubert, Paris, Skeleton Watch is unusually large at 49 millimeters diameter, with a full open view of the 17 jewel mechanical movement from both sides of the watch. 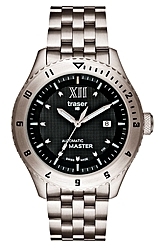 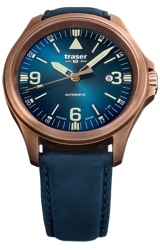 Enjoy the beauty and craftsmanship of the fine mechanical wrist watch. 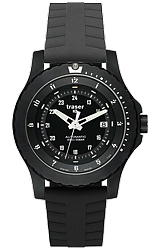 Model XWA4295 has a solid stainless steel case, black leather strap and a see through, cut-away, 17 jewel movement.